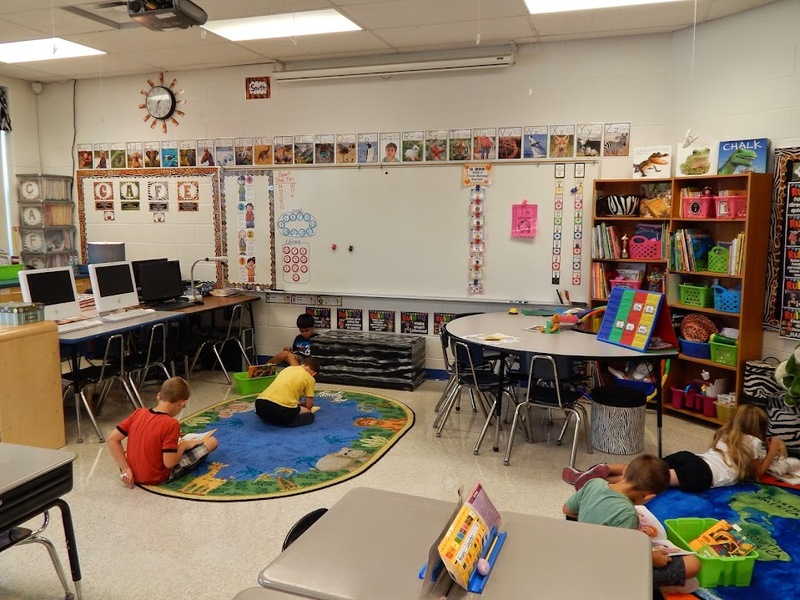 a Class*y Collaboration: Classroom Management Grouping Freebie! Today I thought I would share a fun & easy classroom management tool that is circling around the teaching world, and if you hang on until the very end of the post, a freebie awaits you! 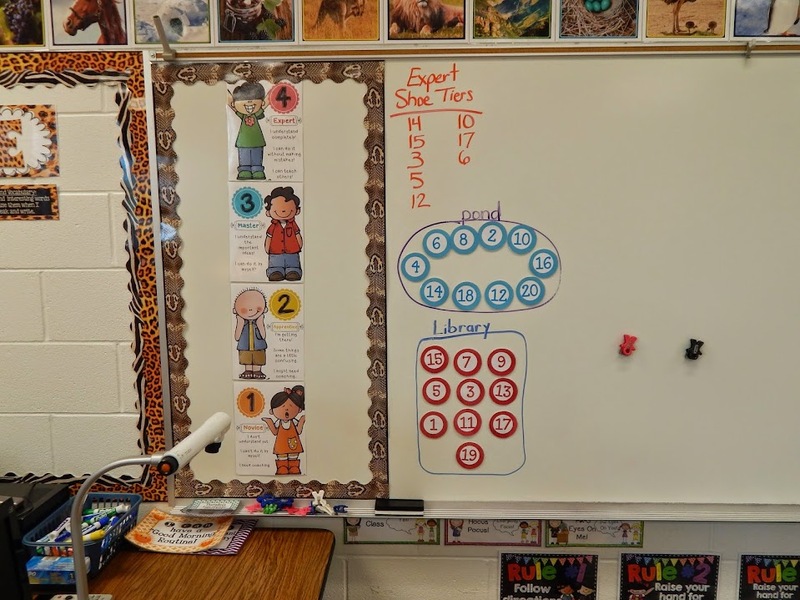 I was asked a few weeks back on how I group my first graders for daily exercises. 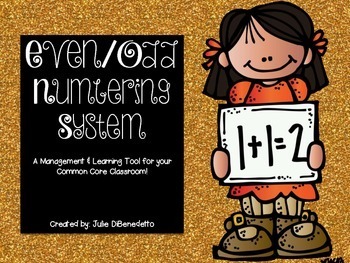 I have used the even/odd numbering system for a few years now and it works wonders for me AND my kiddos! 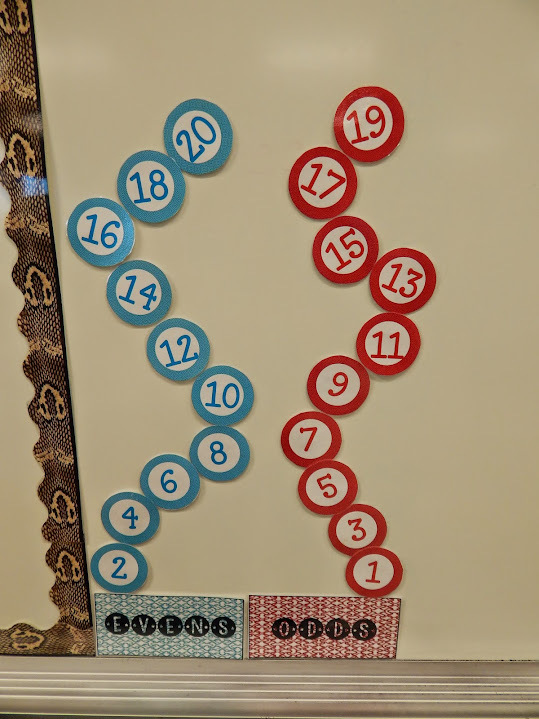 We started at the end of August with using this board display to get introduced to our numbers and practice the even/odd (red/blue) patterns. From afar, you can see a new "arrangement" on the front board. 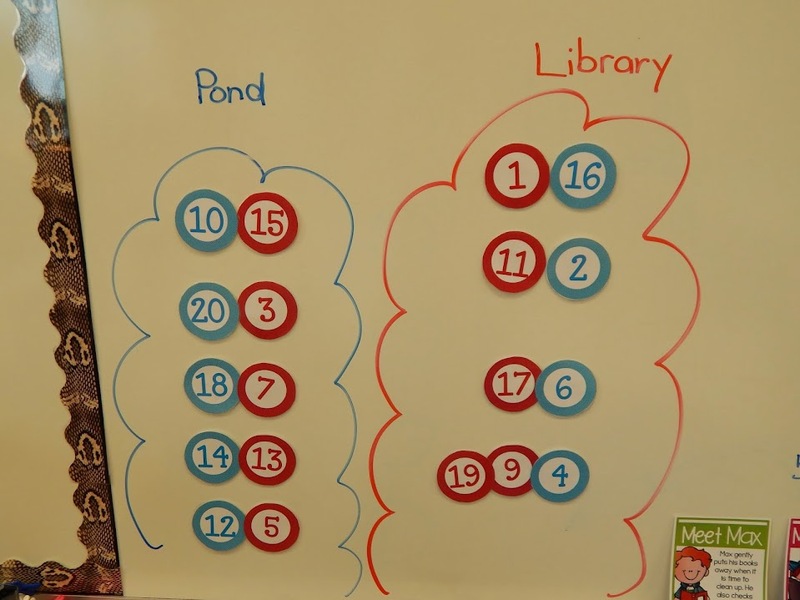 Zooming in here, I use the even/odd groupings for our daily sight word fluency poem meetings. The odd team meets at our pond carpet, and the even team meets at the library carpet. A third favorite way to group throughout the day is for partnerships. At this time of the year in first grade, I still need to "coach" and have some imput on making sure students understand the HOW and WHY of choosing a good-fit reading partner. I simply use the best-fit teams to pair up and students stick with that reading partner all day. I could make a second set and differentiate for math groups as well. Now, I want to know how YOU group your kiddos! Inquiring minds want to know so please leave a comment and share your expertise or links to great ideas! As promised, a little freebie for you! You're Giving Me A Headache! Vocabulary Parade + a Freebie!! Whooooo's Ready for Some sPoOkY Math?! FREEBIE!